With busy schedules, it’s easy to let regular home maintenance fall off your to-do list. Like many homeowners, you might try to cram certain projects into one weekend. Or worse yet, disaster strikes and you get hit with a large bill since you never got around to a minor task that turned into a major issue. Stop causing yourself so much stress! Let the professionals help you, and better yet, have a maintenance plan with them. 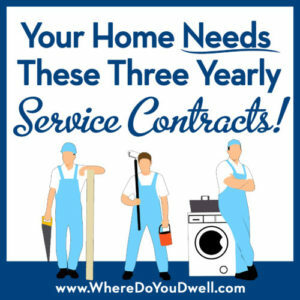 There are three yearly professional service contracts you should sign up for once you move into your home – HVAC (Heating & A/C), Pest Control/Termite, and a chimney sweep. Having each of these set up on a yearly maintenance plan will keep you on schedule with the appropriate level of maintenance year round. You will be assured that a professional will use their expertise to monitor each of these so that you can avoid preventable SNAFUS or serious problems later on. At first glance, it seems like a lot of money to spend every year for maybe nothing that needs to be repaired. However, the upfront costs will be well worth it in the long run, helping you avoid more costly damage to your home and unnecessary distress and disruptions for your family. Please take the time and do your homework when it comes to hiring any business. You want a reputable, reliable and trust-worthy company that services your home properly and doesn’t overcharge or suggest unneeded repairs. This is the biggie for most homeowners. Your heating and cooling system affects your day-to-day life all year long, and you want it running smoothly and efficiently. No one wants to come home to no heat on a frigid January night, or have their air conditioning unit break down during the hottest week of August! A service plan could help prevent that. A service plan with a professional HVAC company will ensure that your system is serviced at least twice a year, at the change in seasons. A technician will test, inspect, and clean as necessary to make sure all is safe and functioning properly. These maintenance visits are scheduled usually in the early fall and the spring, before your system needs to really crank out the heat or air conditioning. They will contact you to set up an appointment so it stays on your to-do list. The cost of a service plan is typically less expensive if you scheduled two separate visits without a contract. And, again, you won’t have to remember to call them, since they’ll call you if you are on the yearly maintenance plan. Some also provide discounts on parts and future replacements. Always check your contract carefully. You’ll get scheduling priority when something does go wrong! This is extremely helpful during the holidays or weekends. 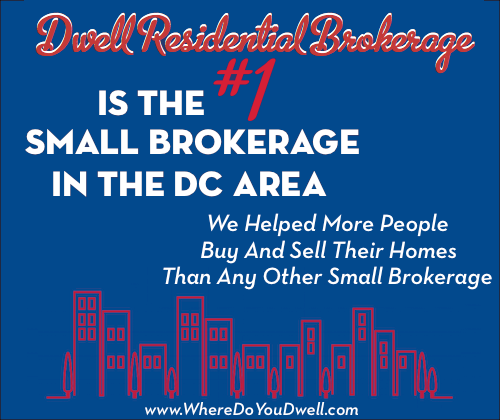 No one likes to admit it but many neighborhoods in the DC metro area have rats … any other creatures and pests. And don’t get us started on the damage (and cost!!) that an unchecked termite infestation could do to your home! Pest control really isn’t a true do-it-yourself job. Sure, you can set up a trap or two, or even get out some ant spray, but it really isn’t as effective as preventative measures used by a professional technician. A service contract with a pest control company will schedule regular maintenance and inspections throughout the year. They know what to look out for at certain times of the year and at the change of seasons. It’s all about “control” and preventing an infestation of a wide range of pests such as mice, roaches, spiders, flies, termites, hornets, carpenter ants, etc. If you have an infestation or a potential problem, they know how to solve the situation in a safe and efficient way that will save you money in the long run. You’ll develop a relationship with the company and most likely with your neighborhood technician who will know your home and yard and its “problem” spots. Again, you’ll get priority scheduling if an emergency arises. This task is definitely not a DIY one since it can be dangerous and dirty! Cleaning and inspecting your chimney requires a certified chimney sweep whose expertise will help prevent your fireplace from experiencing any combustion issues or creosote buildup that could cause a fire in your home. And just because you don’t cozy up to a fire, doesn’t mean you can skip this one! Some homes have a chimney to vent its gas heater or gas water heater. You should have your chimney inspected and cleaned at least once a year, more if you use it more often. This is critical before you begin using your fireplace for the season! A chimney sweep will clean the fireplace, check the firebox, liners, smoke chambers and flue, and the chimney’s exterior. They have the equipment and the expertise to do this efficiently and safely (and without a mess!). Service contracts could also include wood-burning stoves. A sweep will make sure that birds and other critters haven’t set up a nest that can block the chimney. Plus, leaves and other debris can collect and obstruct the chimney. If you chimney needs repairs, the company can handle this too. Again, you can develop a relationship with a certain company or technician who knows your home and chimney. Even if you don’t have a fireplace, some homes have a chimney that is used to vent your gas heat and/or your gas water heater. Double check your home’s set up. As you can see, investing in service contracts upfront will make your life easier as a homeowner. Your home is being monitored and serviced on a regular basis, helping to avoid more costly and preventable damage later on. Let us know if you have any questions about service contracts.